Earn up to 3,376 reward points. 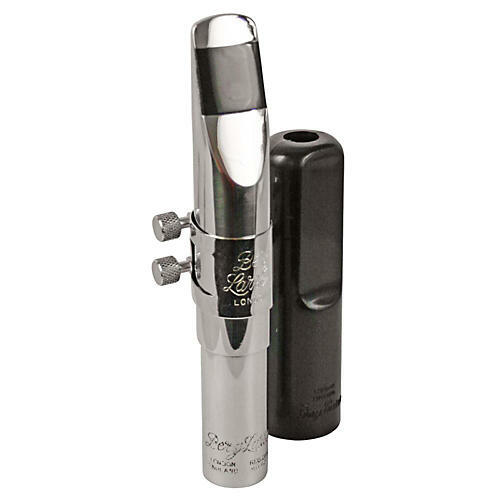 Berg Larsen Saxophone Mouthpieces are used by some of the world's top professional saxophonists. Berg originally made his name as a professional musician and while not working, he could be found making reeds in Archer Street London. In 1945, he designed and manufactured a range of ebonite mouthpieces for clarinet and saxophone which later evolved into a range made out of stainless steel for an increased lifespan. Although Berg died in 1972, his name lives on. Today, we can offer a wide variety of mouthpieces in various different materials and styles. Today, the name Berg Larsen is synonymous with hand crafted mouthpieces for saxophones. Skilled craftsmen use ten machining processes to create each Berg Larsen mouthpiece. Each one is individually hand finished and inspected to ensure the Berg Larsen reputation for quality is maintained. As well as using a variety of materials in the construction of these mouthpieces, they have a comprehensive range of tip openings, to be sure that there is a mouthpiecefor EVERYONE.